If you have been walking around London in the past weeks or are just slightly interested in musical theatre (or both) you will have noticed one thing: The Mormons are in town! It is almost impossible to avoid this show these days. 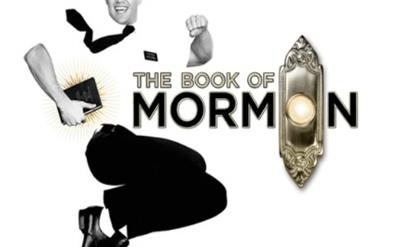 The Book of Mormon has been a sell out on Broadway since March 2011 and has now found its way across the pond and right into London’s West End. The show tells the story of Elder Price and Elder Cunningham, two young Mormon missionaries who are sent to Uganda to share the Book of Mormon and convert the locals. However, people in the village they travel to are worried about war, poverty and AIDS and have no interest in religion. It does sound quite deep just from reading this short and VERY basic summary. However, in reality The Book of Mormon is a satiric approach to organised religion and the literal credibility of the LDS Church (The Church of Jesus Christ of Latter-day Saints). But despite being downright filthy in parts The Book of Mormon is a show with heart and in the end it tells us that religion can do good if taken metaphorically. 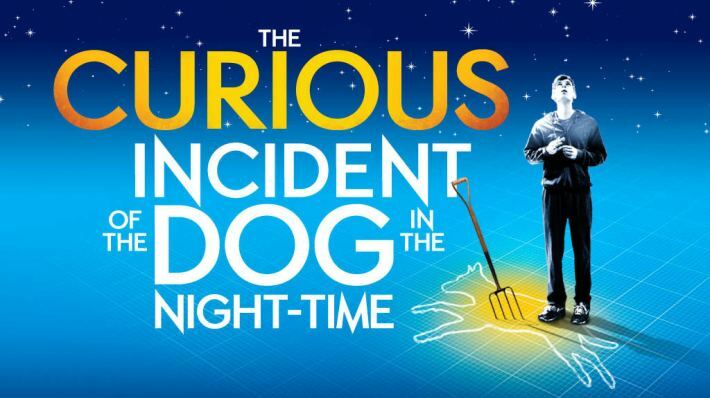 The show’s songs are as clever as they are hilarious – some of them hinting at well-known musical theatre classics. 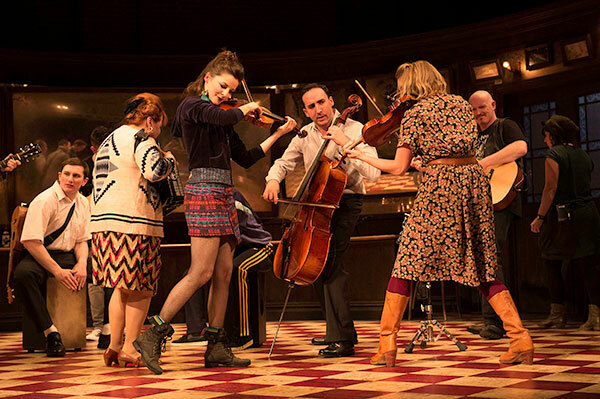 The choreography has to be one of the finest you have seen on a West End stage and the characters – whilst drawn out of proportion – are thought through and well-developed. 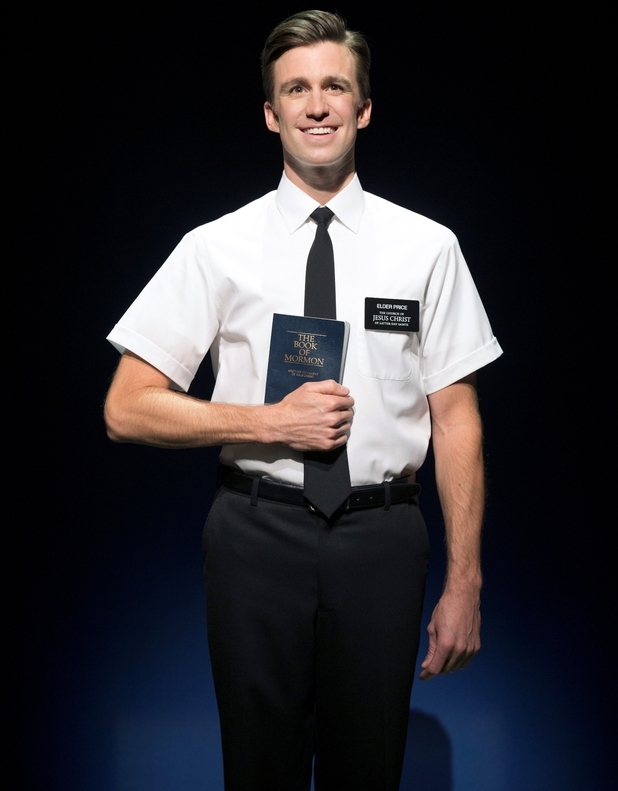 Gavin Creel reprises his role as Elder Price after opening the US National Tour of The Book of Mormon. Gavin is no stranger to the West End having starred in both Mary Poppins and Hair. His Elder Price starts out on his mission wonderfully optimistic and sure of his beliefs but after being sent to Uganda and experiencing various set-backs his faith starts to crumble. Gavin plays Elder Price with a boyish charm that is impossible to resist. His singing is flawless and his acting is nothing but spot on. Jared Gertner plays Elder Cunningham who is sent to Uganda with Elder Price to spread the word of Jesus amongst the locals through the Book of Mormon. Elder Cunningham is the geeky outsider, the one that never fits in. He doesn’t actually care about the Book of Mormon (in fact he hasn’t even read it). Elder Cunningham just wants to be accepted and declares the popular Elder Price his new best friend. Jared is a perfect fit for this part – his Cunningham is hilariously funny and awkward but he’s never a complete laughing-stock. The secret star of the show has to be the wonderful Stephen Ashfield who shines as Elder McKinley. His “Turn it off” is a complete show stopper and has the audience in fits of laughter. Stephen has appeared in several West End shows to rave reviews including Jersey Boys (Bob Gaudio) and Legally Blonde (Emmett) but The Book of Mormon finally gives him the chance to show off his incredible comic timing. To say Stephen is great in the show would be an understatement – he is quite simply outstanding. Alexia Khadime is an irresistibly cute Nabulungi. She plays the part with a tender humour and manages to win the audience over instantly. “Baptize me“ (Nabulungi and Elder Cunningham) is brilliantly funny and “Hasa Diga Eebowai (Reprise)“ gives her the chance to show off her amazing voice. There really is no weak link in this cast. From Chris Jarman (General) to Haydn Oakley (Price’s Dad, Joseph Smith, Mission President), Giles Terera (Mafala Hatimbi) and the complete ensemble this cast is put together perfectly. The chemistry on stage is noticeable throughout the show. In fact I don’t recall watching a show that was so extremely slick after less than two weeks of previews in all my years of theatre going. The Book of Mormon is by far the most offensive piece of theatre I have ever seen and I am sure there will be visitors who can’t cope with this kind of humour. 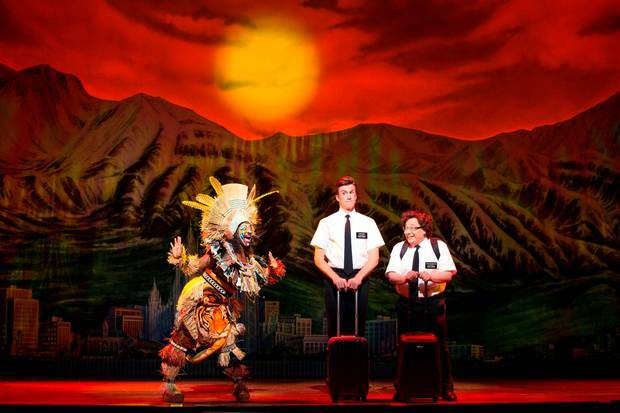 This is definitely not a show for kids and if you can’t take jokes about religion The Book of Mormon is not for you. However, I had the absolutely best time watching this show. I laughed until I cried and I loved all the “Did they actually just say that? ?” moments (there are plenty, believe me). And in the end this is a parody but it is also a story about friendship, standing up for your belief and staying true to yourself. Having said that it is funniest show I have had the pleasure to attend in my life – a through and through brilliant night out. The Book of Mormon is one of those “Beg and steal for a ticket” shows – a proper hit musical that you just can’t miss out on! The Book of Mormon is playing at The Prince of Wales Theatre. For more info and to book tickets go to http://www.bookofmormonlondon.com. 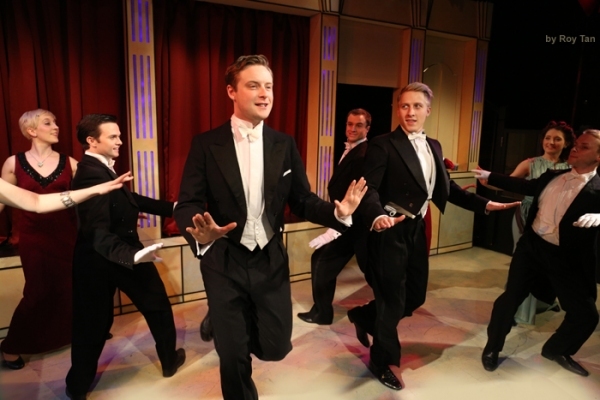 Boy meets Boy, a musical comedy by Bill Solly and Donald Ward, tells the story of American journalist Casey O’Brien who is in London to cover the story of the abdication of King Edward VIII. However, he ends up chasing after the mysterious “English Rose”, a man described as charming and exceptionally handsome who has jilted the rich and self-absorbed Clarence Cutler at the altar. After being shown off-Broadway for the first time in 1975 this show now finally gets its UK premiere at Jermyn Street Theatre. 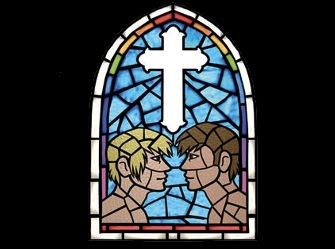 What strikes first is that the story is set in an entirely re-imagined 1930s in which the marriage between two men is just as common as the union of man and woman. 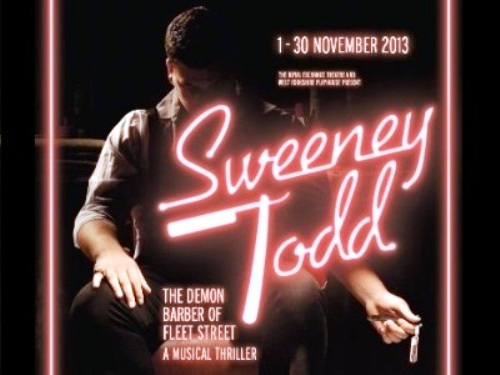 Stephen Ashfield returns to Jermyn Street Theatre to star as Casey O’Brien. Best known for his portrayal of Bob Gaudio in the original London cast of Jersey Boys he now steps into the shoes of the American journalist who thinks love is a fun pastime but shouldn’t be taken seriously. From the first time he appears on stage right until the curtain call he manages to captivate the audience with his performance. His voice suits the songs perfectly, his acting is absolutely spot on – and who would have thought Stephen had a hidden talent for tap dancing? Ben Kavanagh is without a doubt the second star of the show. He portrays the completely self-centred Clarence Cutler with just the right amount of humour and a twinkle in the eye. His hilariously funny rendition of “Me” has the audience in stitches but he never ridicules his character and makes sure Clarence isn’t downgraded to a common laughing-stock. He’s one of those “bad guys” you can’t help but love. Craig Fletcher gives a solid and charming performance as Guy Rose. The character itself simply isn’t as interesting as Casey and Clarence which makes it a bit hard to stand up to Stephen and Ben. On the other hand the wonderfully funny “A Boy’s Life” (performed by Craig and Stephen) is definitely a highlight and shows what a talent Craig Fletcher is. 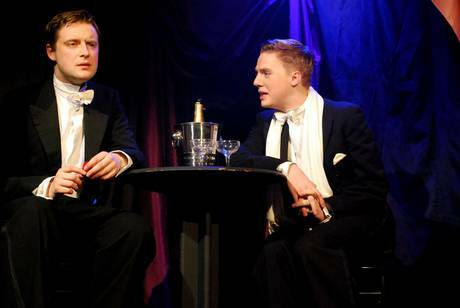 This gem of a show is yet another triumph for Jermyn Street Theatre. 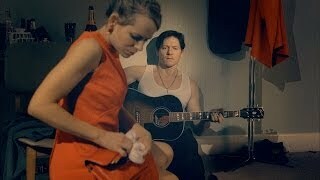 It’s funny, clever and heart-warming with some beautiful tunes and great lyrics. Performed in this intimate space the audience truly feels part of the story. And even though the stage is tiny the cast still manages to deliver some impressive dance numbers. Make sure you don’t miss out on this production. It’s only running for a month so you will have to be quick. But trust me, you won’t regret it! 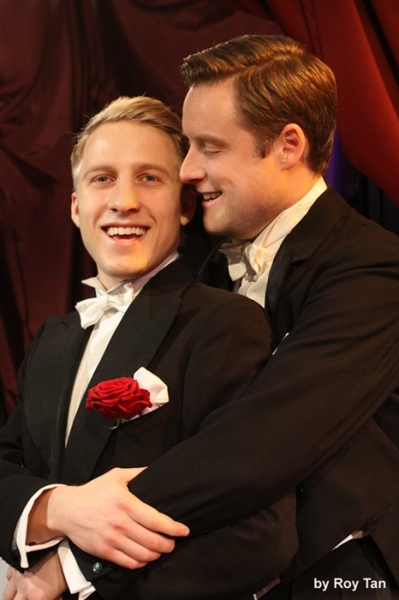 Boy meets Boy is running at Jermyn Street Theatre until 20th December 2012. 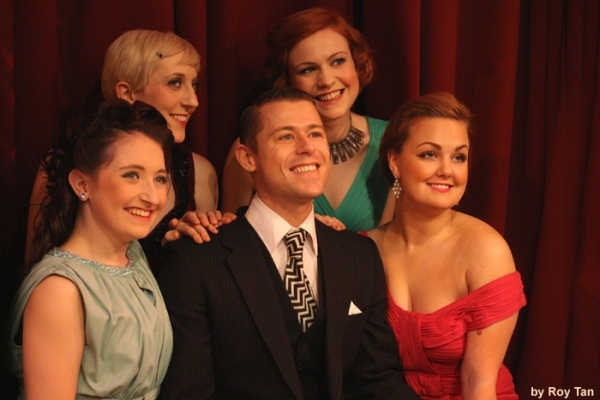 For more info and to book tickets go to http://www.jermynstreettheatre.co.uk. You guys! It was time for yet another trip to the Savoy Theatre to see the equally talented and lovely Stephen Ashfield (and the rest of the cast, of course) in Legally Blonde. This show has to be the ultimate feel good piece of theatre around. I always end up with the songs stuck in my head and I just love how clever the lyrics are despite the rather “light” character of the whole show. Carley Stenson once again delivered a good performance as Elle. She will never be my favourite Elle (that spot is shared by Sheridan Smith an Susan McFadden) but I do think she fits the part and it’s great to see her add little bits and pieces to her portrayal now and then. It shows that she is still working on and developing the character – something I always appreciate. Stephen Ashfield – what can I say about the guy that I haven’t already mentioned? I loved Alex as Emmett and I didn’t think anyone could ever properly replace him. But Stephen has done just that and has definitely made the character his own. His Emmett is cheeky and lovable and I can’t help but have a smile on my face whenever he appears on stage. Never mind the slight glitch during “There! Right there!”…. it made me laugh for sure so thank you Stephen for the extra entertainment. Ha! I was so glad the fabulous Jane McMurtrie was on for Brooke again. She is by far my favourite person in the role (and in any other part I’ve seen her in so far). I sometimes wonder how she does it though – that woman definitely is super swing! Besides being on for Brooke she also played Elle’s mum during act one (yes, they were short on cast once again). Ben Freeman does nothing for me as Warner I have to say. I always feel as if he doesn’t take his part seriously and therefore kind of ridicules Warner by completely over-acting the character. I love Ellie Kirk’s Margot and Lucy Miller’s Serena. In fact Lucy was my favourite Serena right from the start (I was lucky enough to see her understudy the part on one of my first ever visits to the show). Abiona Omonua’s Pilar hasn’t really found her way into my heart yet. She’s a bit over the top in her interpretation if you ask me. Highlight of this performance has to be Ruthie Stephenson as Paulette though. Oh my God, how amazing is she?! I’ve said it before and I’ll say it again: I really don’t like Natalie Casey’s Paulette. So I’m always happy to see an understudy and most of the times that has been Sorelle Marsh who so far was my favourite Paulette right after Jill Halfpenny. I’m saying “was” because that spot has been taken over by Ruthie now. She managed to get all the laughs without ridiculing the character and her Paulette was so utterly lovable that I wanted to hug her after “Ireland” (which was sung beautifully – the high note at the end was incredible!). Big shout out for Chris Ellis-Stanton who IS Kyle – simple as that. I’ve seen different understudies over the year and while none of them was bad they all weren’t Chris either. And I’d like to say that I really, really want to see Lincoln Stone’s Professor Callahan again. I do think Peter Davison does a great job but Lincoln was absolutely fantastic on that one occasion I got to see him. Legally Blonde is one of those shows I can watch over and over again… when I really like the cast. And with few exceptions I do like the current cast a lot. So, bring on the next visit! It’s been a while since I’ve seen Legally Blonde. I used to go a lot during the first year of the show as I just loved the cast and really enjoyed the show. 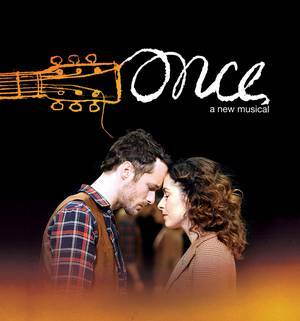 And I still think it’s a great musical with a catchy score and some very clever lyrics. But me being me I tend to watch shows more when I know someone in the cast and that just wasn’t the case anymore after the first cast change back in October 2010. I have seen the last cast a few times though (although I completely missed out on Lee Mead’s Emmett) and thought they were a good bunch of performers. I was never keen on Denise van Outen’s Paulette and I missed quite a few past cast members but all in all I’ve always liked the show and the cast. First of all there’s Carley Stenson as Elle. Having seen Sherdian, Amy and Susan on previous visits I’m afraid to say I didn’t enjoy her performance that much. She is no bad Elle, don’t get me wrong! But for me she lacks that certain sparkle and I didn’t feel for her Elle straight away (as I did when I saw Sheridan, Susan and Amy). Maybe I just need to see her a few times though so I reserve my final judgement for some other time. 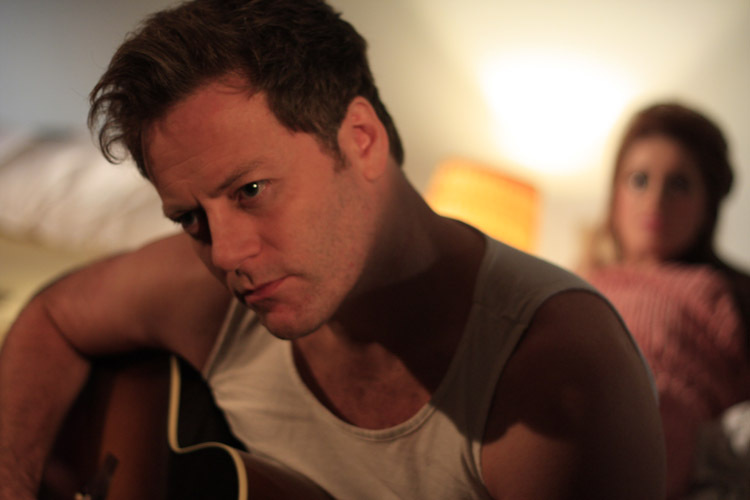 Stephen Ashfield has taken over as Emmett. He was my main reason for going to see the show again that soon after cast change. I’ve loved Stephen’s Bob Gaudio in Jersey Boys and have been lucky enough to see him on stage in his own Cabaret show at Lauderdale House, in Bewitched, bothered and bewildered at Jermyn Street Theatre and at the Summer with the composers Cabaret on the Battersea Barge. And of course there was no way I would not go and see him as Emmett in Legally Blonde. And although he’s only been in the show for a very short time he has already made Emmett his own. I absolutely loved „Chip on my shoulder“ – he even hits the high note at the end! Stephen’s Emmett really is beyond adorable (and quite cheeky at times). 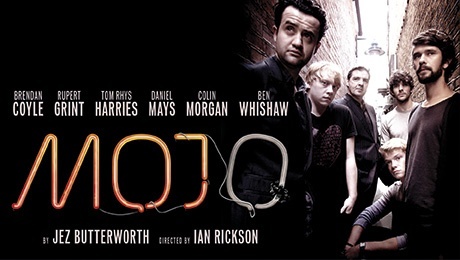 Definitely the highlight in this cast for me and more than enough reason to go back and watch the show again. Natalie Casey as Paulette – I don’t know how to put it without sounding incredibly rude. I’m sure Natalie is a lovely person but I’m sorry to say I hate her Paulette. She has made the character into a complete idiot, a comic figur without heart. It’s a shame as Paulette is supposed to be funny but I doubt she’s supposed to come across as being stoned and completely stupid all the time. So thank you but no, thank you. Peter Davison has been with the show since it started. And he’s still doing a great job as Professor Callahan. Ben Freeman ist the new Warner. The part itself is rather bland I think. However Warner should at least have a certain ammount of charisma. Unfortunately that is exactly what Ben lacks. His voice is ok but nothing special and his acting is rather wooden (even more wooden than the character himself). Hopefully he will settle into the part with time. Considering there were special circumstances (his wife went into labour) I can imagine his mind must have been elsewhere so I’ll just wait and see if I enjoy his performance more next time. Jane McMurtrie was on for Brooke and I have to say I prefer her to Tamara Wall who I have seen a few times already. I really have no idea how Jane manages to handle her job in Legally Blonde – Dance Captain and definitely Miss Super Swing, sometimes covering 2 or 3 tracks during a show. No matter in what part I’ve seen her she has always stood out for me – and I mean in a good way! I guess it’s her energy which seems to know no limits. I can hardly watch anyone else whenever she’s on stage. So, hopefully this hasn’t been the last time I’ve seen her as Brooke, a part which she played brilliantly (special kudos for „Whipped into shape“ which was such a joy to watch). Tricia Adele-Turner did a good job as Vivienne but out of the 4 girls I have now seen in the part she is so far my least favourite. Her voice seemed a bit weak and I don’t think her and Ben have as much stage chemistry as previous Warner and Vivienne combos. And someone needs to sort out her make-up – it didn’t look natural at all. Ellie Kirk, Lucy Miller and Abiona Omonua are Margot, Serena and Pilar (Elle’s best friends). Lucy used to be a swing in the show and she has always been my favourite Serena so I’m more than happy she’s taken over the part full time now. I really liked Ellie’s Margot and thought Abiona’s Pilar was ok but she still needs to settle down a bit. 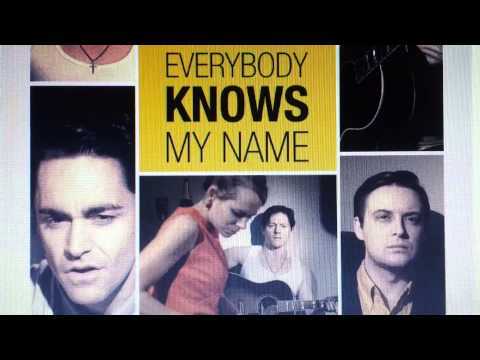 Gemma Sutton is fantastic as Enid. So funny! I didn’t think Suzie McLean could be replaced but Gemma is just brilliant. The one and only Chris Ellis-Stanton is still playing Kyle and to be honest I couldn’t imagine someone else in the role full time. I’ve seen understudies and while none of them was bad they just weren’t Chris either. The man just fits the role perfectly. Out of the ensemble I’d like to give a special shout out to Jon Tsouras who is playing Nikos now. I’ve seen Jon in several shows and always thought he was a really talented performer. It’s great to see him in a part that allows him to show of his comic talent. His Nikos was hilarious to watch. I loved it! Nick Hayes as Pforzheimer was beyond funny but very camp – whilst that did make me laugh I’m not sure it really suits the character. I love Lincoln Stone’s portrayal of Elle’s dad and it’s good to see Sorelle Marsh his still in the cast as that means I may have the chance to see her Paulette again. So, all in all I enjoyed the show and will definitely be back. 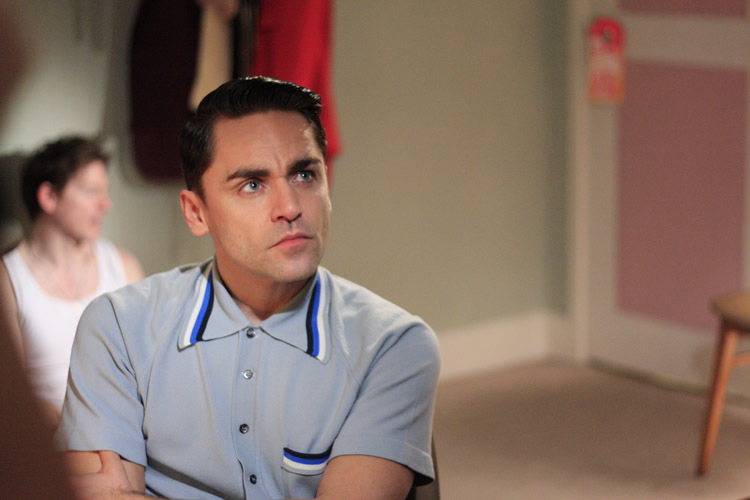 If only they would still have Jill Halfpenny as Paulette and Simon Thomas as Warner – but hey, I’m not complaining as long as I get to see Stephen’s Emmett.